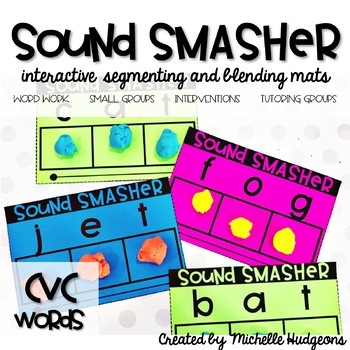 These interactive segmenting and blending mats are sure to get your students excited about decoding and smashing words! These are a blast! Simply print, cut and laminate the decoding mats. Grab some play dough and you’re all set! Your students will love these! These are great to use during small group teaching, intervention groups, tutoring groups, and word work stations. These could even be sent home for homework.